Russia, the largest country in the world. In addition, it is also known as the largest country in the category of the total area. The geography of Russia is so unique that it has 5 natural zones. It consists of the tundra zone, the arid zone, and mountain zone. Another two includes the plains known as the steppe and lastly the forest zone which is the taiga. So for this post, we will be spending time in discussing what are the facts about taiga, the forest zone that we all never knew. Taiga is the largest out of the five primary natural zones in Russia as mentioned above. It is huge that is managed to cover the size of the United States. It is situated south of the tundra. The Taiga zone begins its reign from the Finnish border all the way passing through the Verkhoyansk Range in northeastern Siberia. It also stretch towards south as far as the southern part of Lake Baikal. In addition to the fact that is huge, it is making up total of 29% of the worlds forest broadband. It is also known none other than the world’s largest single forest. It is the main containment of world’s carbon dioxide and its one of the top world’s timber reserves. The climate in taiga zones are pretty much varied due to its vast location. Taiga can be described as a place where massive temperature range in between the seasons. However, the cold and icy winter are the definite dominators of the temperature. Summers are shorter compare with the icy cold winter. It is generally warmer and more humid. A typical day in Taiga can reach up to -20°C during its winter and 18°C in an average summer daylight. 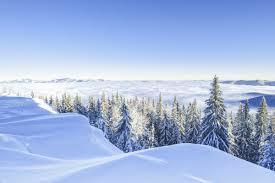 For example, valleys located near Verkhoyanks will found themselves experiencing the coldest winter temperatures. However, in July, this place can get up to 22°C daily during its summer climate. 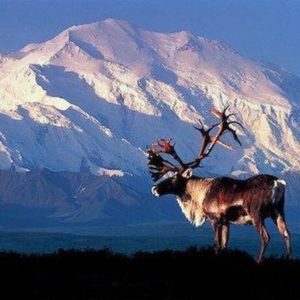 The taiga zones provisions to a small range of animals due to its harsh climate and temperature. Taiga zones are called home to a large size of herbivorous mammals. This includes moose, reindeers, and bison. Deer’s family are also within the range such as elk. These species have tested and proven on their perseverance on living in such a harsh climate at the taiga zones. Another larger mammals such as bear will hunt vigorously and eat in feast during summer. They will put on enormous weight and be getting ready to be in hibernation mode during the icy cold winter. Out of Russia’s population, 33% of it actually living in taiga zones. Earlier settles include the Slavic tribes which considered Russia’s traits of ancestors. Majority of these companies are the gatherer of timbres where once was a booming industry originating from Taiga. The forestry activity includes laundering the timbres and subsequently planting them again to keep the cycle. The taiga forests are homes to countless greeneries species of trees. Large pines, birches, and larch have amazing reigns across the taiga zones. 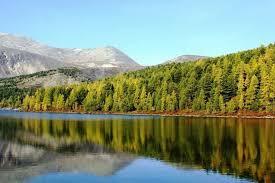 25% of the original forest is still intact in Russia. These are where the biggest timber reserves in the world. These trees are naturally designed to survive the climate of taiga. In addition, these trees have shallow build roots to help them survive in the thin soil in Taiga. These almighty trees provide homes to nearly 300 species of birds nesting in the zone of taiga. In a vast forestry range, it is easy to catch a fire activity. 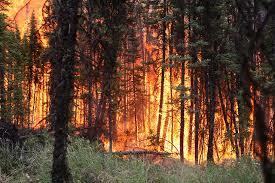 Fire, however, contributed to the most important factors of shaping the forest stands. It is important that it even categories into 3 elements which first is the fire type and its intensity. The second in line would be its size of the fire and it’s significant. Last will be the frequency of the fire and its interval in specific terrestrial. The fire rotated larger activity in a drier range in taiga zone. Fire cycles normally stayed longer in heavy woodlands.